Easy Tour China team works with a simple motto: give each client and his/her party the ideally suitable China travel service. That‘s why we offer private, tailor-made China tours -- to make sure you can travel in China in your way. And once you decide to book China tour with us, we will make everything organized and arranged before your trip, such as visas, flights, accommodations, meals, transfers, vehicles, etc. We guarantee you 100% tailor-made China tours, meaning you can decide everything for the trip based on your personal needs and travel style, ranging from where to go and when to go, to hotels and restaurants. So don’t hesitate to share your ideas and wishes with your 1-on-1 travel consultant, who will listen carefully and then craft the perfect tour itinerary. We praise highly uniqueness and diversity when assisting our clients in their China trip. Whether you’re traveling in China with children, husband/wife, parents, friends, students you’re solo travelers, or even you’re traveling with a wheelchair, we can customize tours to meet all expectations. 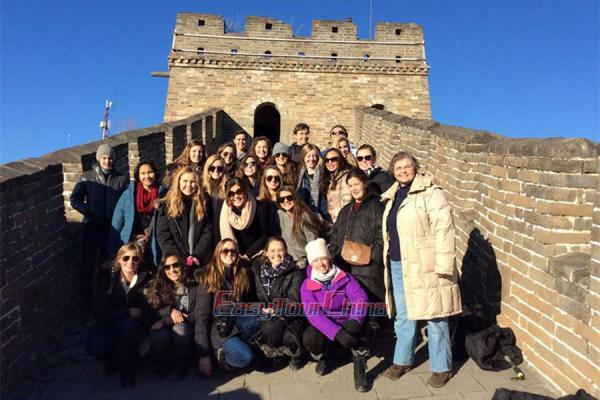 You may check out our China family tours, China senior tours, wheelchair accessible China tours, and China education tours - all with especially crafted itineraries, accommodations and activities. If you book a private guided China tour, you will be escorted by a private local guide in each destination. There won’t be anyone else in your group. Your guides are friendly, knowledgeable, informative and also very helpful and flexible to accommodate to your needs.Your trip will not be all about sightseeing, but also about new life experience. With the help of your expert guide, you will delve deep into China, from its attractions, culture and traditions to countryside, old streets, local markets and family. Our mission is to bring the real china to your life. Our China tour packages include private transfer service – such as airport to/from hotel, railway stations to/from hotel and attractions to/from your hotel. Our drivers have many years’ driving experience and are polite and friendly. Based on the group size, we use different types of vehicles, including sedan cars, SUVs, business vans (MPV) and buses. All of the vehicles are clean, well-maintained, air-conditional, non-smoking, with enough space for your baggage. Your accommodations are also included. We hand-pick hotels of different grades and styles in each destination to cater for a diverse range of travellers based on their budget. We will arrange you the hotel according to your travel style and taste. The comfortable hotels we pick are usually at three to four star rating, with great locations, modern facilities, cozy rooms and good service. Boutique hotels are highly recommended to those longing for a unique stay and perhaps with some special cultural experience. The hotels are usually very small, though, but with very exclusive settings and design, and sometimes with an eccentric personality (e.g. hotels converted from an old dwelling). As for the facilities and service, they can be upscale and excellent. Temple stay can also be experienced in China. For our clients seeking for luxury China tours, we arrange international-brand luxurious hotels and resorts, such as Shangri-La, Four Seasons, Peninsula, Ritz Carlton, Aman, etc. Our China travel service includes meals as well. Normally we include breakfast and lunch for your China tour. Breakfasts, usually a buffet, are provided by hotel (except the food tour, with which you may be able to taste the authentic local breakfast). Lunches are a la carte at local Chinese restaurants, so that you can enjoy delicious local foods. The dinner is usually to your own arrangement for a little culinary adventure. 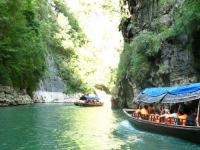 For solo travelers or people on a budget, we offer small group tour service in China. It helps to save money and travel with like-minded travelers. 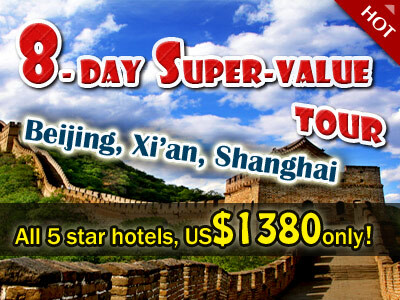 You’ll discover the best of China, including the most popular destinations, all big-name attractions, the Great Wall, Terracotta Army, panda, cruise, etc. You can travel in a comfortable way as the tour packages have included domestic flights, accommodations, English-speaking guides, transfers, etc.